🔥 TIP: Quickly drag the column header row down to freeze panes. Freeze panes is a useful and simple technique to lock the top row (or rows) of your spreadsheet, so that they remain in view even as you scroll down your datasets. You’re effectively anchoring them in place. It’s really useful because you can keep your column headings in view as you move about your data. Traditionally, you freeze panes through the View > Freeze menu, but there is another quicker way. This technique also works for freezing columns! This book contains 35 detailed case studies, covering practical and esoteric, easy and difficult, short and long, Excel and Google Sheet tricks and techniques. 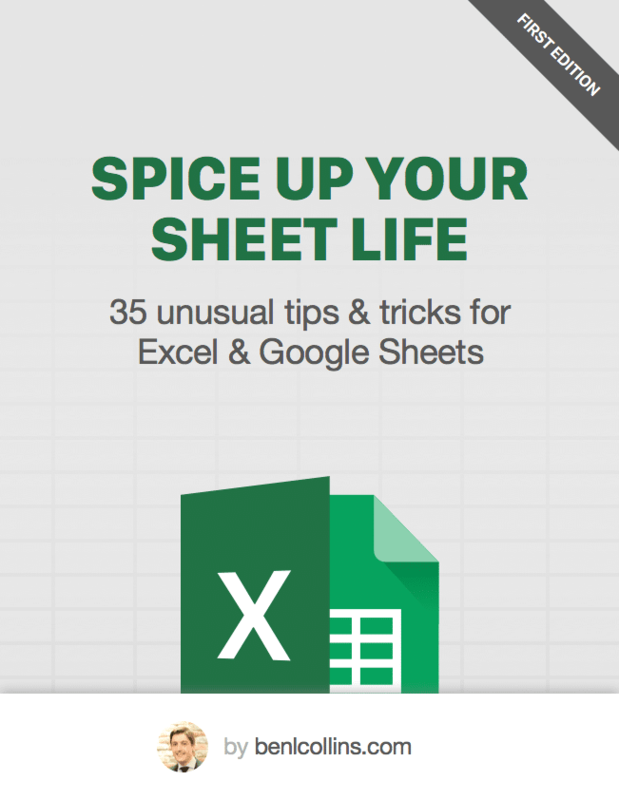 My hope is that you’ll find some magic in these pages, to inspire you or show you new ways to use spreadsheets you didn’t know were possible. For example, did you know you can build a language translation tool in a Google sheet? Or create a chart of stock prices in under 30 seconds? All possible and covered in these pages! What about other weird tricks like looking up leftwards with VLOOKUP? Or lookups with multiple criteria? Writing SQL code in your spreadsheets? Check, check and check. All possible and covered in this book.